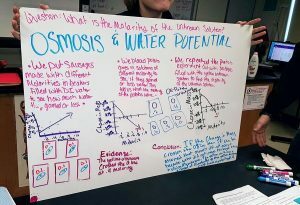 In order to review for final exams and to also tie together the semester, I had my students create boards that summarized the labs they did during the semester. 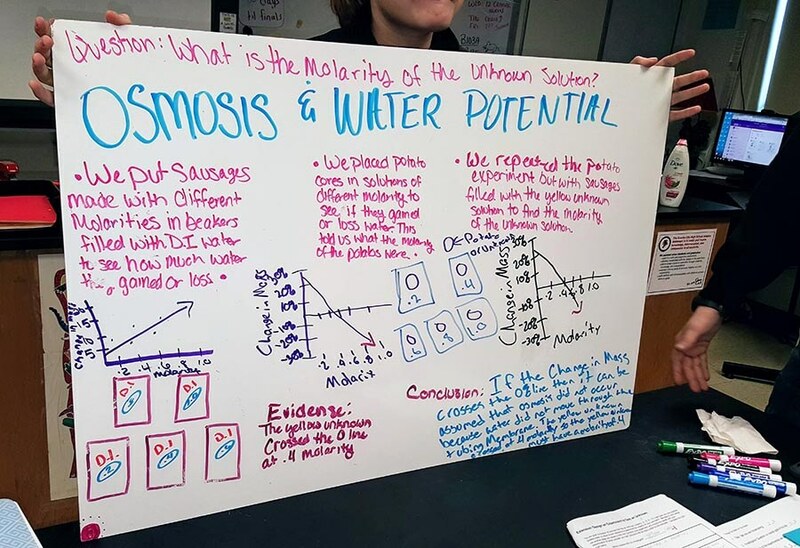 I choose 6 labs so that each group of three would be able create a whiteboard panel and do a mini presentation to the rest of the class about what was done during the lab and what conclusions were drawn. Overall, students seemed to enjoy thinking back to some of the labs they had done earlier in the year and creating the boards. I did not give students a traditional “review guide” for the final exam, just told them that questions would focus on the labs they had done during the semester and would be Free Response Questions. 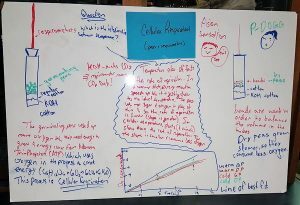 Students were provided with 3×4 ft panels of whiteboard and an assortment of whiteboard markers. Most completed their panels by referencing old lab handouts, but I was also pleasantly surprised by the in-depth discussion that was going on within the groups about what was important information to include. 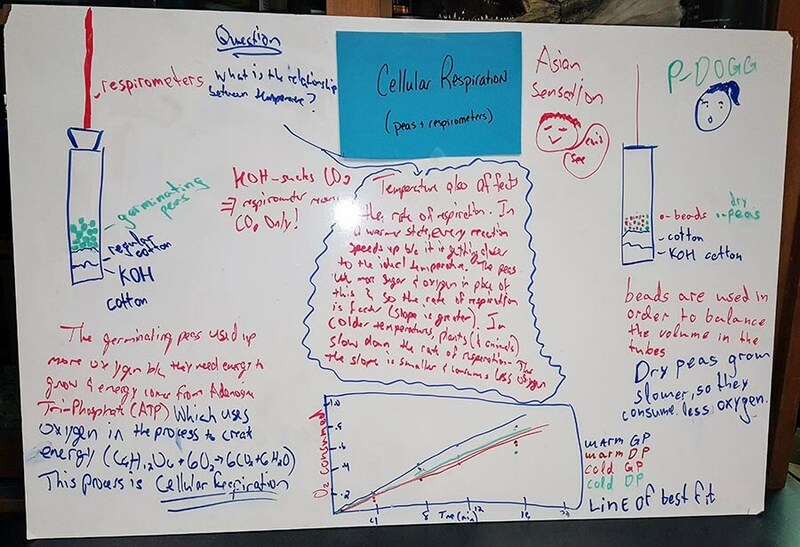 Students then did a mini-presentation to go over their panels with the rest of the class, I gave them suggestions on things to add, like the equation for respiration and the other students took photos of each panel as a way to prepare for their final exams next week. I felt this was definitely better than me trying to review with them, as their attention level has been very low the week before the holidays. This is the only rubric (guidance) given to students and they were able to choose which investigation to study.